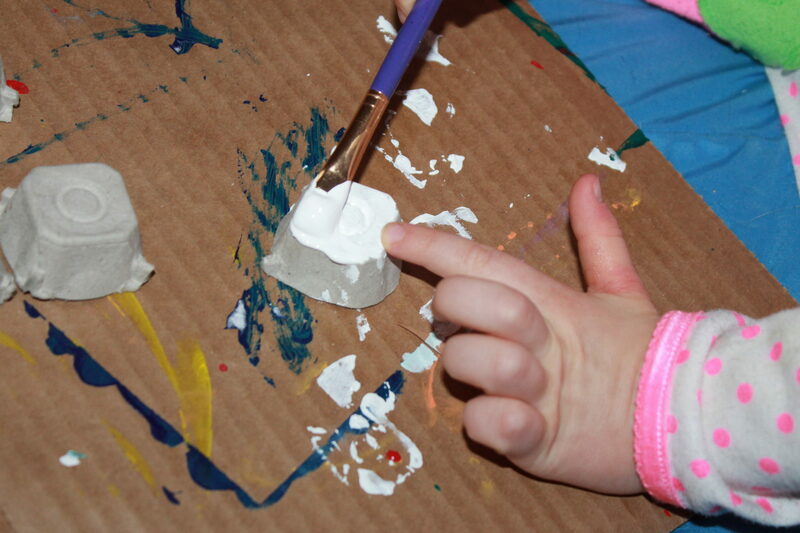 In celebration of Dr. Seuss’ upcoming birthday, Mai and wanted to make a craft inspired by the great children’s author. 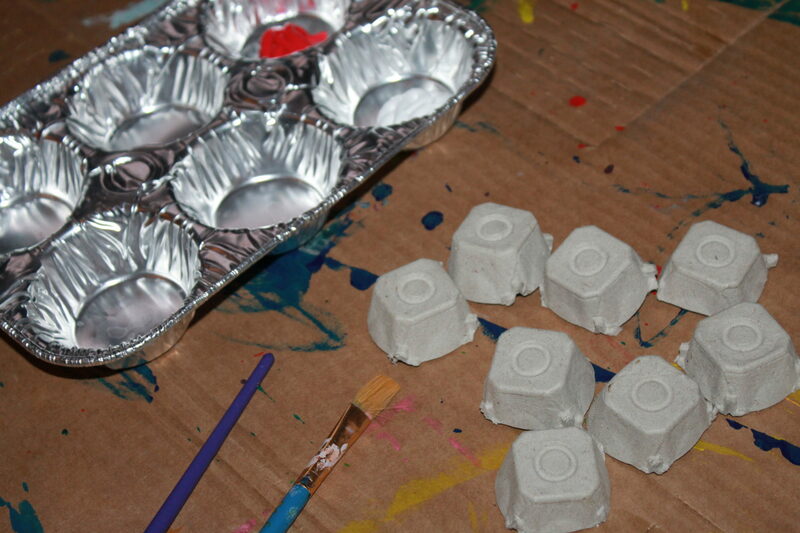 We had about a dozen old empty egg cartons piling up in our craft room. 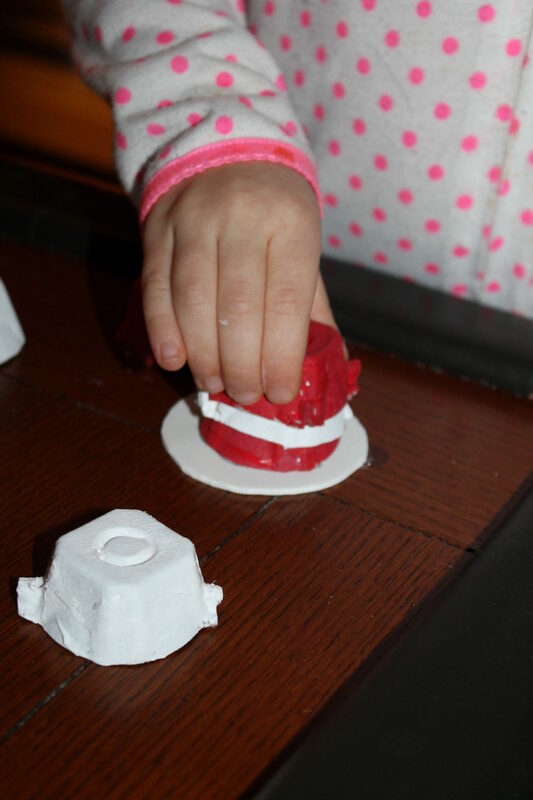 We decided to put them to good use with this simple craft & activity inspired by the iconic Cat in the Hat hat. 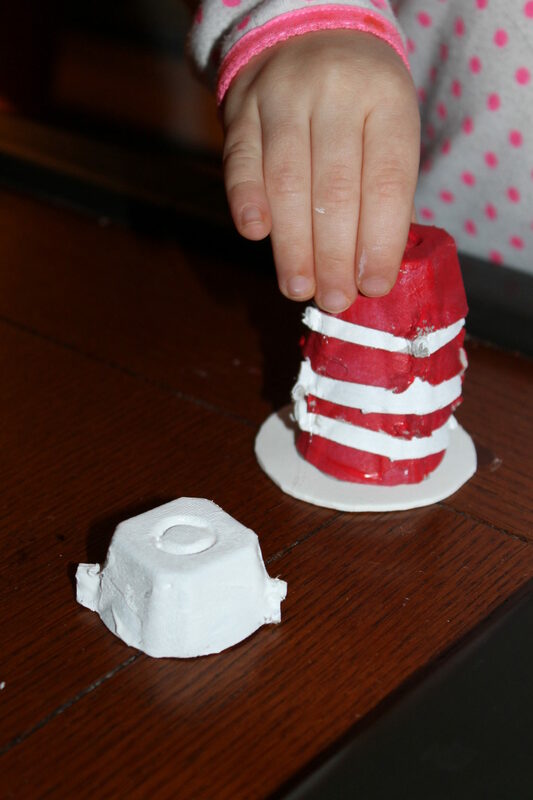 All you will need for this craft is an old egg carton or more depending on how high of a stacking hat you want to make, red & white paint, a piece of white foam board or cardboard & glue. I cut the sections of egg carton & then my daughter and I painted the 12 sections together in the red & white and then we let them dry. When one of the red sections dries, glue it to a piece of foam or cardboard cut into a circle a bit larger than the egg carton. 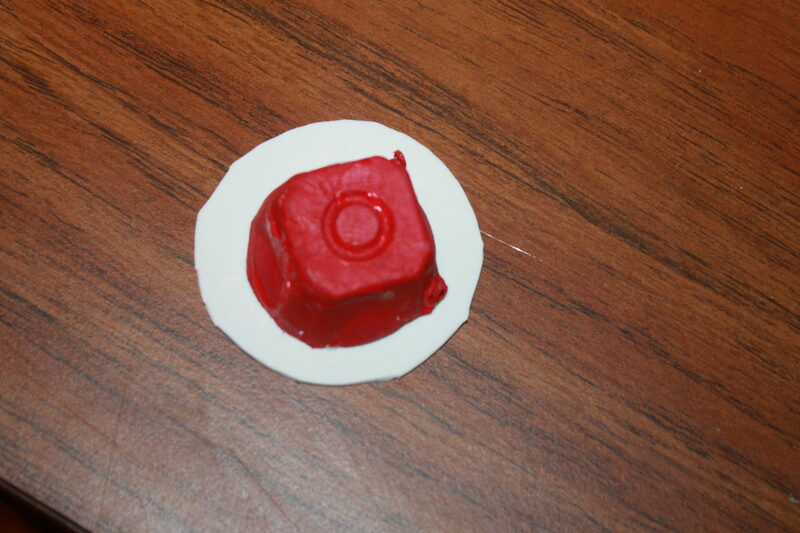 This will be the base of your hat. 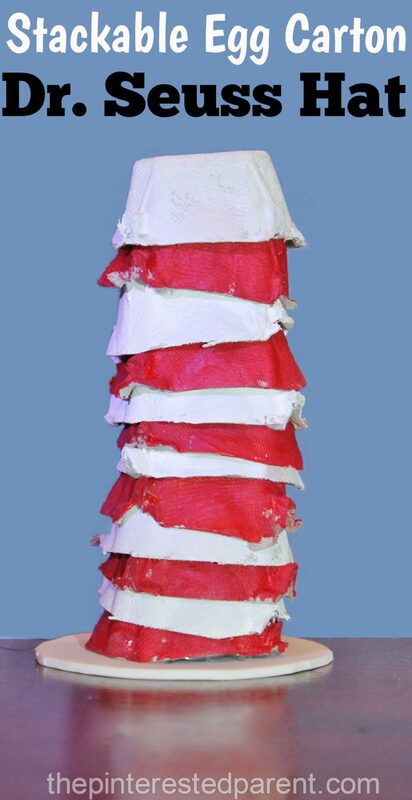 Once the rest of your pieces are dry, you can stack your hat in the red, white, red pattern. Mai was so eager to stack them, that she grabbed them before they dried, so the paint smeared a bit, but it did not bother her anything. When she finished stacking her hat, she asked for more to stack. She wanted a “reaaaally big hat” she told me. Tomorrow we will paint more to add to our stack.